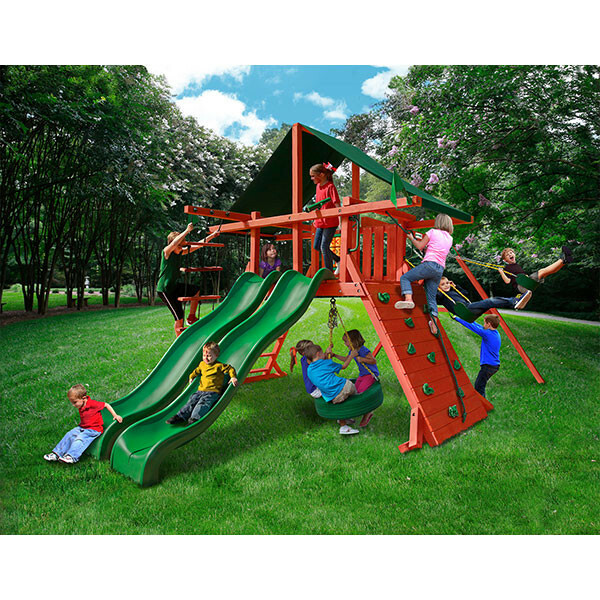 Filled with extreme fun, the Gorilla Playsets Sun Climber Extreme is great for kids of all ages. 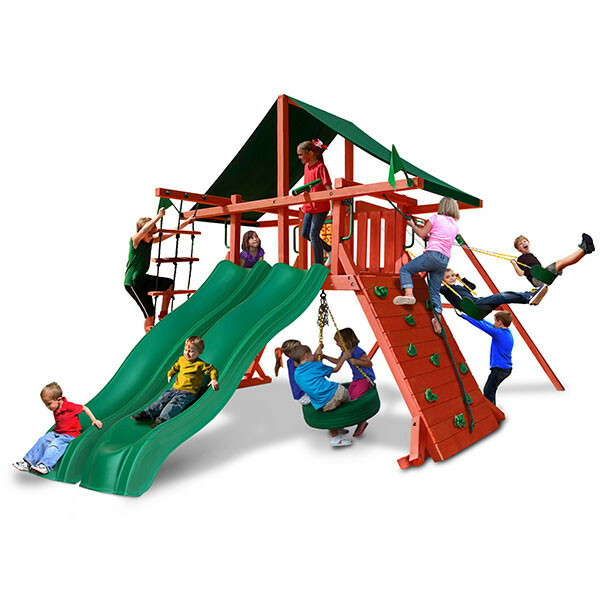 The 4 foot by 6 foot platform is surrounded by all kinds of swinging, climbing, and sliding accessories. The rock climbing wall with climbing rope is on one side while the opposite side features a climbing rope ladder and combination metal rung and safe entry ladder. Once on the platform they can use their imaginations with the telescope, steering wheel, or built-in picnic table. Sliding is double fun on the Sun Climber Extreme with 2 wave slides that kids will love for challenging each other to a race. 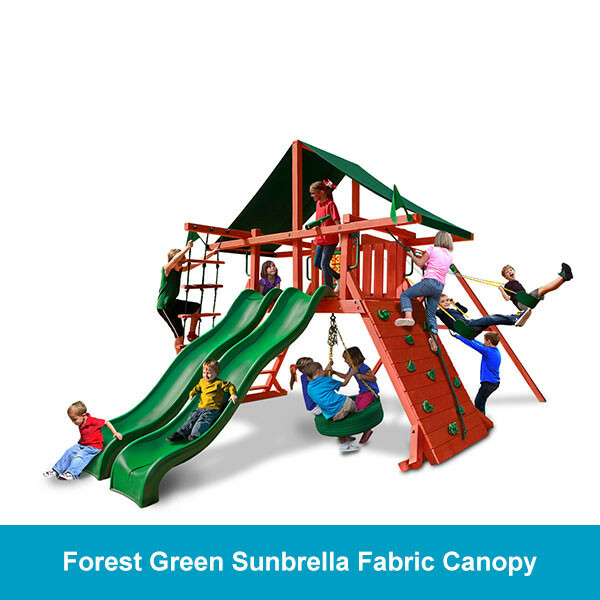 A rare addition to most Gorilla playsets, multiple kids can enjoy spinning and swinging on the 360 degree turbo tire swing that attached underneath the play platform. The swing beam includes 2 belt swing and a trapeze swing. 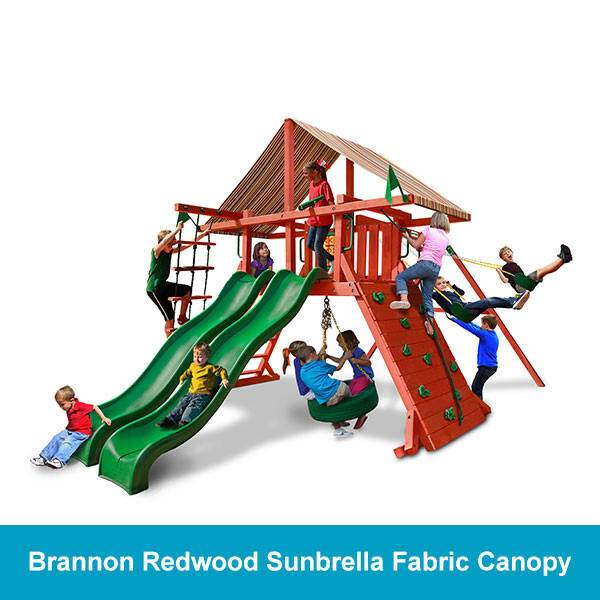 Unlike many playsets made by Gorilla, this one is constructed of solid cedar with a beautiful redwood finish. 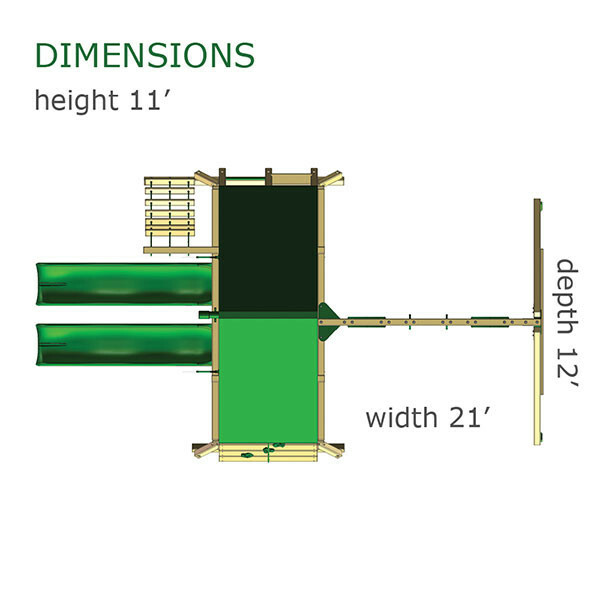 All of the needed hardware and lumber for construction is included, along with the lumber being pre-cut, pre-stained, and main beams are all predrilled. When ordering customers can choose between a striped Brannon Redwood or a solid forest green Sunbrella canopy roof.